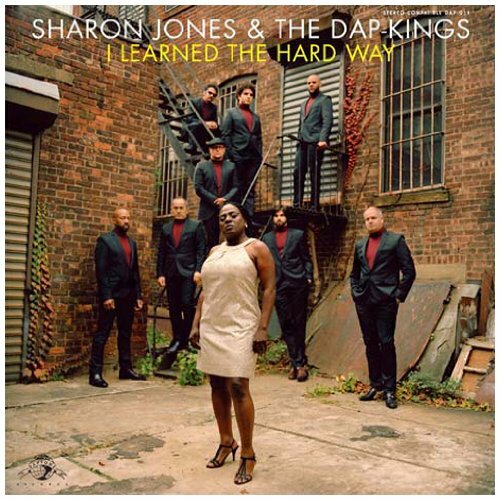 Daptone Records has been producing and distributing new music that sounds like old music since the early '00s. With breakthrough groups like Sharon Jones and the Dap-Kings and Antibalas, the label has become a New York fixture. Their studio, the House of Soul, is a converted residential building, well-appointed with analog gear to help give their records the warmth of those '60s and '70s soul classics that inspire the Daptone sound. 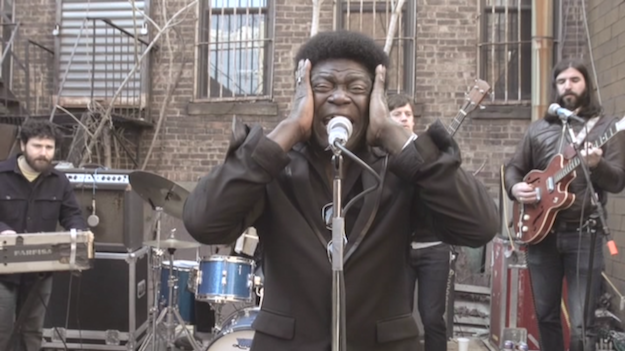 Charles Bradley: Live from the House of Soul is the first in what will presumably be a series of performances -- an Antibalas disc is due in April -- captured in the courtyard behind the Daptone building (familiar from the cover of Sharon Jones's I Learned the Hard Way album). There's no audience (Bushwick backyards rarely have room for grass, let alone a full band plus audience), so this is just a performance for the cameras. Director Poull Brien (who also made the Charles Bradley doc Soul of America) thankfully doesn't overdose on too much style to compensate. 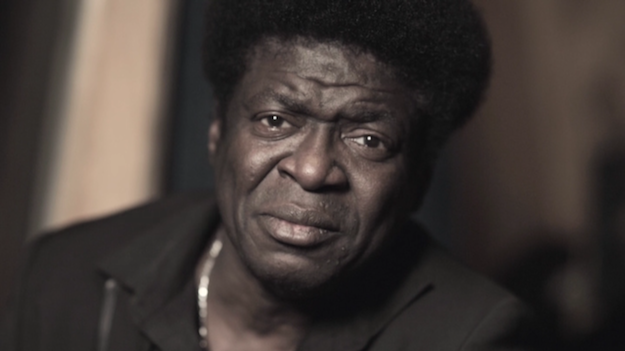 Our star Charles Bradley, who released his first album in 2011 at the age of 62, is a deeply emotional performer who does his best to electrify that empty backyard, ably abetted by Daptone's own version of the Funk Brothers or Booker T and the MG's, the Menahan Street Band. The band -- which looks kind of like what most people think white Brooklyn musicians all look like (long hair, beards, bored expressions) -- does not project as much as interest in putting on a show as Bradley does, but they nonetheless churn out tasty grooves that excuse any lack of visual pizzazz. Anyone who loves '60s and '70s soul will be pleasantly transported by the setlist. In an alternate universe, "Where Do We Go From Here?" could have been culled from the soundtrack of a '70s action film. With its searing guitar lead, "Confusion" sounds like Psychedelic Shack-era Temptations. "Victim of Love" is a spare slow jam that one could imagine Dan Penn writing for James Carr to sing. If he was still around, you could also imagine Otis Redding stealing the mournful "Crying in the Chapel" for himself. I don't mean to leave the impression that the songs Bradley and the Menahan fellas perform are just retreads and rip-offs. Though they all wear their influences on their sleeves, Bradley has a clear, resonant, yet world-weary voice that is wholly his own and the band is constantly finding layered grooves that could be mistaken for the product of no other players. The full program runs a brief 30 minutes, but that length is actually pretty satisfying in this low-key context. Think of it as a "Visual EP." Presumably shot with some midrange HD cameras, the widescreen 1.78:1 presentation is clear, sharp, and mostly free from defect. Some wide shots showed signs of compression noise, but otherwise it looks as clean as you would want a brand-new show to look. The filmmakers have chosen to desaturate the colors a bit, emphasizing the browns of the brick background. Oddly, one shot seems to have snuck in untreated and so we viewers get one brief flash of the colors looking more vivid and skewed to blue. So, the question of the hour: how does it sound? For a performance recorded outside in a busy Brooklyn neighborhood, this Dolby 2.0 stereo (320kbps) soundtrack is amazing. It could be mistaken for a studio recording. No stray ambient noise. No flat or thin sounding elements in the mix. Just a rich, inviting sound. Excellent! We get four music videos (13:12 total) for the tunes "Where Do We Go From Here?," "Strictly Reserved For You," "The World (Is Going Up in Flames)," and "Heartaches & Pain." They are all solidly enjoyable. This is a great first entry in what promises to be an interesting series of live performances captured in the backyard of Daptone Records. 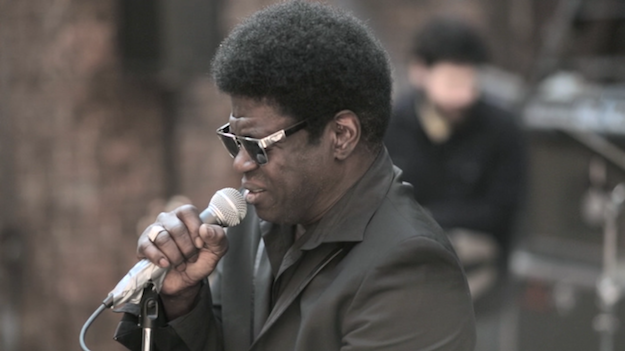 Charles Bradley & the Menahan Street Band perform stylish, heartfelt love songs that bring to mind the classic '60s and '70s singles of Stax and Motown. Some folks might grumble that it could be a little longer (it could), but fans of soul music should gobble it up happily. Recommended.